Kenya’s President’s lawyer has revealed a strategy the President is laying in preparations to prosecute opposition leader Raila Odinga should he swear himself in as president. According to Ahmednasir Abdullahi, President Uhuru Kenyatta’s move to remove former director of public prosecutions, Keriako Tobiko and former Directorate of Criminal Investigations director Ndegwa Muhoro from office was interpreted as a calculated move against the opposition. 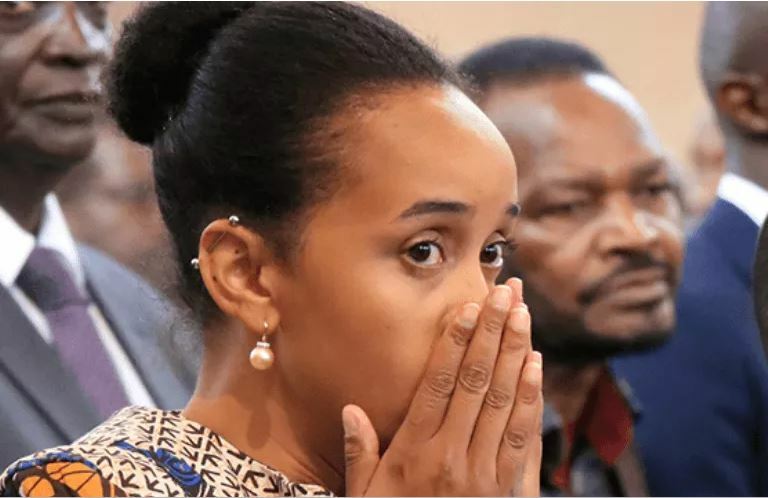 The lawyer said these moves were meant to “put steel and polished diamonds in place” to prosecute National Super Alliance (NASA) front runner Raila Odinga. He said this in regards to Raila’s highly awaited controversial swearing in as president on Tuesday, January 30, at the historic Uhuru Park grounds in Nairobi County. In Muhoro’s previous position, the former police spokesperson, George Kinoti , was appointed in an acting capacity. Former DCI director Ndegwa Muhoro (left) hands over to George Kinoti. Photo: Uhuru Kenyatta/Facebook. Mr. Tobiko accepted his nomination and immediately resigned from his position to make himself eligible for the upcoming vetting processes. According to prior reports, the opposition was determined on swearing in Raila Odinga as the people’s president based on the August 8 presidential election. This was decided after the opposition vowed to swear him in if the Independent Electoral and Boundaries Commission (IEBC) declared President Uhuru the winner of the “pre-determined” October 26 repeat presidential election. NASA insists Raila won on August 8 if the results from their parallel tallying center was anything to go by and vowed never to acknowledge Uhuru Kenyatta as president of Kenya. The opposition is presently laying ground for the formation of the People’s Assembly; which is said will swear in Raila Odinga.